When you dust, start at the top and work down. 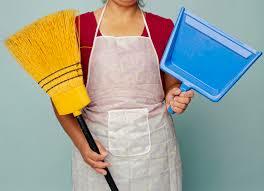 Take all your cleaning tools, avoid unnecessary trips back and forth. Clean as you go! It takes a lot less time to remove new dirt than old. Make a checklist of chores to get organized first. Wash walls from the bottom up, to avoid streaking. Use old socks as mitts for cleaning difficult wood work. Wash small knickknacks instead of dusting. To removing heel marks , take pencil eraser and rub them off. Don't mix cleaning products. Ammonia and bleach are toxic. 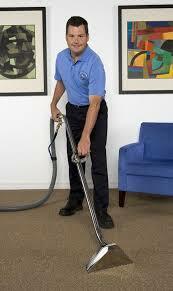 Remember common cleaners such as windex and comet meet this don't do rule. Rubbing alcohol can remove the dull haze from mirrors. Use rubbing alcohol to remove spots from bathroom fixtures. 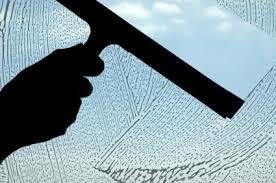 Glass shower doors will sparkle if cleaned with white vinegar. To clean the shower, use a solution of 1/2 cup vinegar, 1 cup ammonia, and 1/4 cup baking soda added to one gallon of warm water. Lemon furniture oil will remove water spots on metal frames. Rusty tile marks can be removed with kerosene. Running the shower on hot for five minutes will steam the dirt loose. Grout need cleaning? Wash with 2 tablespoons chlorine bleach in one quart of water. Dry thoroughly, then apply several coats of lemon oil. Let dry one hour between coats. 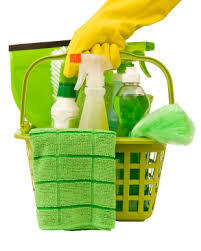 Dull walls will shine when washed with vinegar and waterand plished with a dry cloth. Lighter fluid will remove most stains from porcelain sinks and bathtubs. Copyright 2009 Gibraltar Industries Inc.. All rights reserved.